You are here: Home / Marketing Online / Why Your OFFLINE Customers Need To Be ONLINE….Now! With all the talk about getting more people coming into a brick and mortar store using online methods, there is very little talk about why you would also want to convert an offline person to online. Now, before we go any further, I am not talking about selling online (at least not yet). No, I am talking about the advantage of INTERACTING with your customer base online. The fact of the matter is you only get to see your customer when they walk in the front door. Sure, you may have an advertisement in a local flyer. You may have a banner outside the store. You may even have someone spinning signs or wearing a sandwich board at the corner. Your reach is very limited by today’s standards. There are some great ways to get online information to your current clients that we can talk about in another article. Heck, at this point I am just trying to convince some of you that you NEED to be holding some conversations online. So, let’s assume that you get someone in your store to give up their email (via drawing, mailing list, coupon, bribe, whatever). Pew Research Center estimates that Facebook is used by 57% of all American adults. 64% of Facebook users visit the site on a daily basis (and this number is increasing). Half of all Facebook users have more than 200 friends in their network (can you say “potential referral business?”). With Facebook, at the very minimum, you want to create a Fan Page for your business. With users checking Facebook over and over, imagine getting your message out that much more! People on Facebook also can be very [brand] loyal. And loyal customers, that you now have a bond with, will buy more often and tell others about your business. There are some great ways to run contests and giveaways online. You can run them on your website or even integrate them with your favorite social media platform such as Facebook or Twitter. I have used contests and giveaways to not only raise awareness but also look cool in the process. The result also built up a database of people to market to going forward. For example: Imagine running a pizza place and giving away 5 large pizzas in a contest that runs two weeks. At the end of two weeks, you give away 5 pizzas to the winners. But how many people entered the contest that didn’t win? How many new people are now in your database? What if you sent to all the non-winners a “We wish everyone could have won free pizza! Sorry your name wasn’t drawn this month but here is $2 off your next order – just for playing.” – Now they feel special and have motivation to order pizza. If you could pick up the phone and call each and every customer, would you? You know, let them know how you are doing, what the special is this month, stuff like that? Aside from being horribly inefficient, who wants to call everyone? We have stuff to do! Email is one of the most powerful marketing methods available to businesses today. It is also one of the most misused or misunderstood marketing tools available today. When you say “email” and “business” in the same sentence, people immediately conjure up images of spam email flooding the reader’s computer, hard sales pitches, and annoying images. What if you could send an email to your database of customers and actually have them thank you for it? When the people that are receiving the emails are actually forwarding them on to other friends and therefore promoting your business? Email writing for that kind of response is an art – but not that hard to learn. Matter of fact, I am going to bet that most of the people reading this right now have the skills to do it…they just don’t know how. If I have to move a particular product, in a short time frame, email is the best, most cost efficient sales tool out there. Bar none. So, you can see that having the ability to reach out to your customer, in a passive way, can drive more people into the store. At the very least, you will have people returning more often. Let’s say you sell cupcakes (obviously I am hungry as I am writing this). Your average customer comes in twice per month and spends $10.00 on each visit. By utilizing your online conversations as a selling tool, that same customer is making one extra trip per month into your store. So, now they are spending $30 per month instead of $20 (a 50% increase in sales). Now, imagine that 50 people respond in the same manner. Or 100. Or 500? Would a 50% increase help you bottom line? 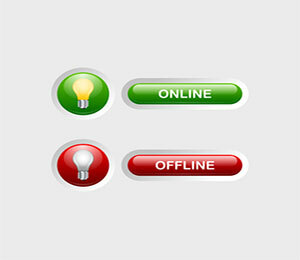 Your offline business does not have to stay on the sidelines when it comes to online marketing. Obtain an email, implement the correct strategies for your business, and watch the traffic increase to your store. Contact us for a free consulting session. Exposure One can create an Offline to Online campaign that will get you results!